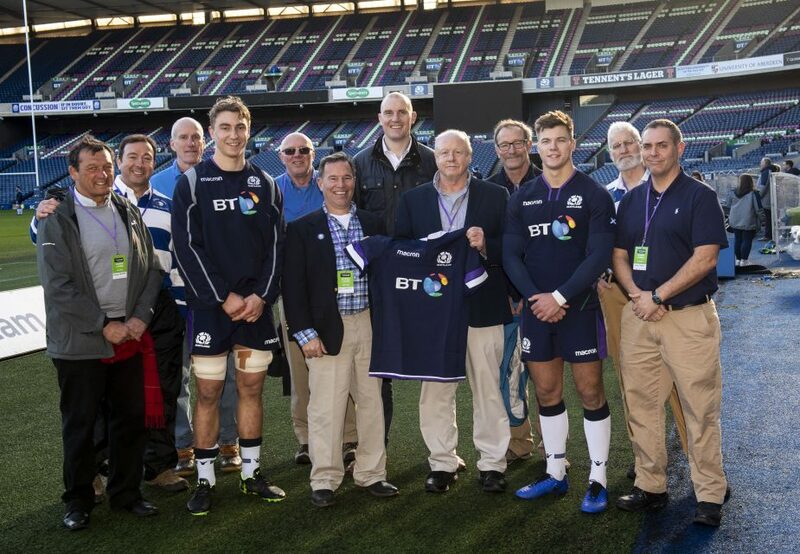 Members of an American rugby club have made a trip of more than 3,000 miles to Edinburgh deliver a cheque for more than £3,000 ahead of the Scotland v Ireland Guinness Six Nations match on Saturday. 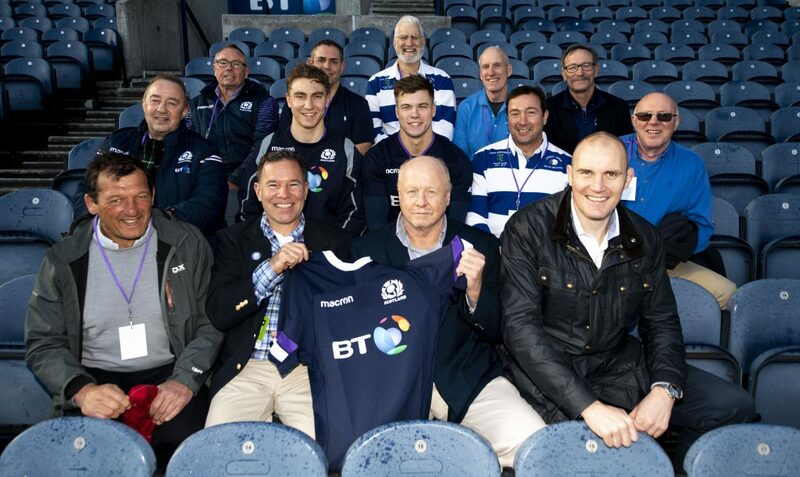 Now, after exceeding an initial fundraising target of $2,500 by more than $1,000, a delegation from Mike’s support team – affectionately known as ‘Jonesy’s Front Row’ – embarked on a mission to Murrayfield to hand-deliver the cheque to Hearts and Balls. On the eve of the Six Nations match at BT Murrayfield (2.15pm, live on BBC) the group took in Scotland’s team run and met Jamie Ritchie, Huw Jones and ex-internationalist Al Kellock. On behalf of Jonesy’s Front Row, Dave Farison said: “The contribution from Hearts and Balls was vital during a critical time for Mike and it enabled him to transition from Florida to New Jersey to be with his family. “It’s a true honour to make this trip. I only wish Mike could have joined us. Kellock, a Hearts and Balls board member, said: “While our charity was set-up with a mission to help Scottish rugby players who need our support, sometimes, there are cases which simply can’t be ignored.